In what is arguably the greatest study of all time, SCIENCE—the real MVP—is at it again and this time, it is backing the notion that the way to anyone’s heart is through his or her stomach. 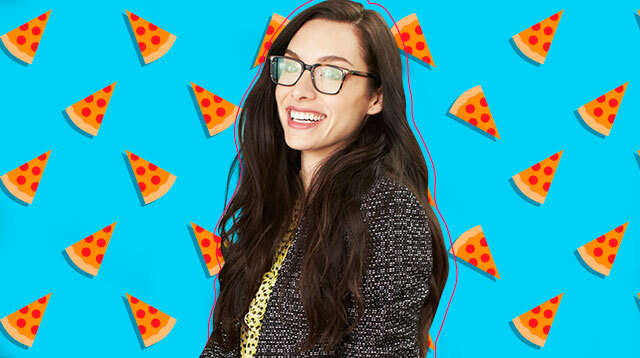 A study led by Dan Ariely just proved what we all know to be true: “There is no aspect, no facet, no moment of life that can’t be improved with pizza.” Yes, we just quoted Daria. Ariely conducted an experiment where employees got one of these three messages: 1) You’ll get a cash bonus at the end of the week. 2) You’ll get a rare compliment from your boss. 3) You’ll get a voucher for free pizza. The control group didn’t get any messages. The employees’s line of work was perfect for this experiment because their productivity could be recorded based on tangible output (assembling computer chips). At the end of the first day, the pizza group’s productivity was 6.7% better than that of the control group. The compliment group was a close second. Can you believe it?! Pizza beat out MONEY. COLD. HARD. CASH. In fact, on the second day, the money group “performed 13.2% WORSE” than the control group. Ultimately, the compliment group “won,” but still, we love that the findings support the idea that money is not the greatest motivator, that people still value human connections more, and that you can never go wrong with a slice of pizza.